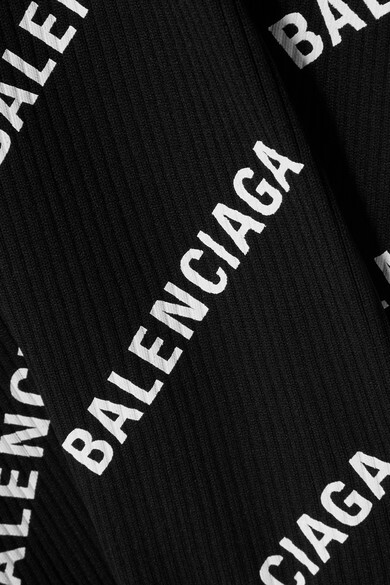 The logomania trend isn't going anywhere, and Balenciaga's Demna Gvasalia may have a lot to do with it. 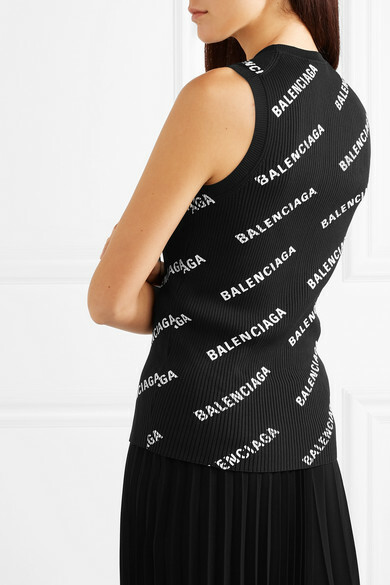 Made from black ribbed-knit for a figure-hugging fit, this top is printed with the label's bold lettering - the designer says it's inspired by public transport signage. Tuck yours into a pleated skirt. Shown here with: Balenciaga Jacket, Balenciaga Tote, Balenciaga Sock boots.